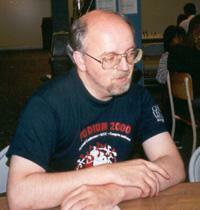 This biweekly publication will offer news and reports of interest to chess players in British Columbia. I as editor will coordinate the proceedings, but much of the content is up to you: you are encouraged to submit news, reports, games, or other items you wish to share with your fellow players. To subscribe, send me an e-mail (swright2@telus.net) or sign up via the BC Chess Scene webpage (www.chessbc.ca). Add your name to the BCCF Bulletin mailing list.